Is leadership growth and development at the top of your 2016 goals? It should be! Strong leadership is key for a strong organization. And what better time to focus on personal and professional growth than the start of a new year? Leadership growth begins by understanding your current leadership style and shortcomings. What are your strengths as a leader? What could you improve on? By knowing how you are as a leader and how your team responds to your leadership style, you will be able to create goals centered around your leadership growth. 1. How will I grow my self-leadership? Great leadership begins with you! Self-leadership is developing a sense of who you are, what you stand for, and where you are going, and using that self-awareness to influence your thinking, communications, emotions and behaviors. You are the CEO of your own life. Intentionally influence your thoughts, feelings and behaviors to reach your goals. Focus on how you lead yourself daily, being an example to those around you, and others will look to you for influence. Identify three actions you will do differently this year to grow your self-leadership. 2. How will I grow my influence with others? Enlarges people. Look at your team and ask: are they growing? Leaders make their people better, helping them to go higher than they could have by themselves. Connects with people. Leaders have the responsibility to reach out and discover the personal agendas and needs of those they lead. Charismatic leaders are those who, whenever they enter a room, proactively search for ways to make others feel welcome and valued. Empowers people. Empowerment starts when we see great promise in an individual, and then speak encouraging, uplifting words in order to make them aware of their potential for greatness. Empowerment also means sharing your power, position and influence with them so that they experience opportunities to grow that they could not arrange on their own. Reproduces other leaders. Great leaders do not merely give orders to subordinates; they multiply their influence by developing the leadership capacity of their people. With these in mind, what will you choose to work on this year to impact your influence? Great leaders never stop learning. In fact, admitting that you don’t know everything is key to growth! Seek out learning opportunities and take advantage of ones that present themselves. Forbes has identified 5 leadership resolutions for 2016: resolve to be more creative; organize, and delegate more; communicate more; incorporate risk into your strategic thinking; and practice diversity. Whether you have identified weakness in one of these areas that you’d like to improve on, or have your own ideas of what you would like to accomplish, it is important to keep your leadership goals in mind throughout the year. Understand that in order to grow, you have to change. Looking for an opportunity to learn? I host monthly workshops that will teach you the best practices for leadership development. Check out my upcoming events here. 4. How will I implement learning into my daily life? 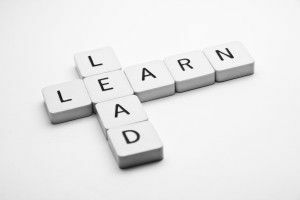 You may have heard the term, “leaders are readers.” Leaders may not actually be fans of reading books, but they daily seek out opportunities to learn best leadership practices from others. Whether it’s reading a book, skimming an article online, watching a TED talk or attending a class, the best leaders find ways to not only learn but implement their new knowledge into their every day life. Implementation is key. I urge you to find key takeaways from every leadership lesson and apply them to your professional AND personal life. Leaders are the ceiling of their organization. Are you limiting your company’s growth by your lack of leadership knowledge and ability? Call me for a complementary leadership assessment!